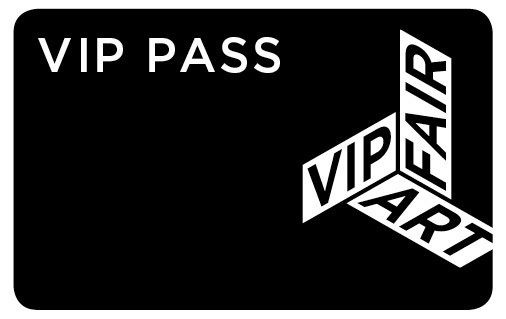 The VIP Art Fair, the first ever totally online art fair, ended a few days ago. This was a pretty big deal with many of the most important galleries in the world taking part. Now that it is over, there is a lot of buzz on the internet discussing whether it was worthwhile or not. The Ministry of Artistic Affairs found the following review of the fair by Edward Winkleman, a dealer who took part, to be insightful. Well, we've packed up our virtual booth, returned to check out of our virtual hotel, caught a virtual flight home, and crossed our fingers that our virtual shipment arrives back at the gallery on a day when the snow isn't piled 5 feet deep in front of our door. In other words, the fair is over and our gallery team is returning to running just one operation at a time, rather than two, and yet I'm not as physically exhausted as usual at this point. The initial response to VIP was less flattering than we had hoped for. The overwhelming numbers of people who visited the site on the first day and tried to use the Chat functionality, well, overwhelmed the system and made it painfully slow to navigate around it, eventually bringing it down completely at one point. This understandably frustrated a lot of people who either assumed it was a problem on their end or who (knowing it wasn't on their end) had been truly looking forward to experiencing the fair. It frustrated we galleries a bit too, as we were online waiting to receive inquiries about the work in our booths. Once the site had been stabilized though, the feedback became a lot more like what we had hoped for. It wasn't everyone's cup of tea, of course (what in the art world ever is? ), but eventually it grew to become what I would declare a successful venture for us. Not only did we sell work to new clients (your ultimate goal in any fair), but we connected the dots on long-standing clients who didn't know about certain works by other artists we work with. I took a straw poll among other dealers who participated this year, and the vast majority I spoke to agree with me that it's definitely worth doing again next year....that it seems destined to become a strong supplemental part of our overall outreach efforts. No one expects it to replace real-world art fairs, but in January, when most of the Northern hemisphere is risking serious travel delays due to weather, it brought us a very nice influx of new business and potential for more. Just like it was for us when we started doing art fairs in real-life, there is of course a learning curve and a bit of trial and error, not only in logistics, but in what artwork to present in which contexts. I'd say that London's Limoncello gallery wins the prize for smartest presentation concept at VIP (they presented Polaroid shots of the work in their booth, forcing you to zoom in to see it...maximizing the interactivity of the site). I expect we'll see other web-savvy booth concepts next year.